Treat yourself to Beyond’s Signature Facial and re-enter the world with a renewed skin glow and a revived attitude. For all skin types, this ultimate in facial experiences uses a multivitamin cocktail mask to hydrate and rejuvenate skin while deep cleansing the pores. The treatment is complemented with a relaxing décolleté massage. Even if time is an issue, beauty should not be compromised. Get your skin glowing and replenished in just 25 minutes. The Express Facial is designed to cleanse, balance, and refresh all skin types. The teen facial concentrates on a deep cleansing with steam to open pores for extractions. A clay mask is applied for its antibacterial properties to condition the skin further and help lessen breakouts. Teens leave with tips on how to better care for their skin. Ages 10 through 16. A powerful, luxurious anti-oxidant treatment to help rejuvenate, refine and restore fatiged, sallow, and lack luster skin. This treatment features a brightening mask, a serum to lift and tone, and a replenishing moisturizer. An advanced treatment for clients seeking a more youthful complexion without surgical procedures. With reflective diamond particles, imperfections virtually disappear and skin appears instantly softer, plumped and refreshed. Our Vitamin C Facial takes a basic facial to its utmost potential, utilizing a Vitamin C serum and mask designed to improve the appearance of your skin while enhancing collagen growth and repairing cell damage. This facial uses the latest in skin care science (niacin & plant stem cells) to stimulate cell metabolism, reduce pigmentation, nourish and plump the skin and reducie fine lines and wrinkles. A powerful treatment for all skin types. Obagi is the product line of choice for many plastic surgeons and dermatologists. Our Obagi facial includes skin analysis, deep pore cleansing, exfoliation, and moisturization steps to help revitalize and improve your complexion. A safe, chemical free treatment to minimize appearance of wrinkles, scars, hyperpigmentation and fine lines. Perfect for sun damaged or aging skin, this facial uses natural glycolic acid to facilitate the exfoliation of dead skin cells, minimize clogged pores, and increase product penetration and effectiveness. A thorough yet relaxing deep cleaning and de-stressing treatment specifically designed to cleanse, exfoliate and hydrate the back and shoulder area. 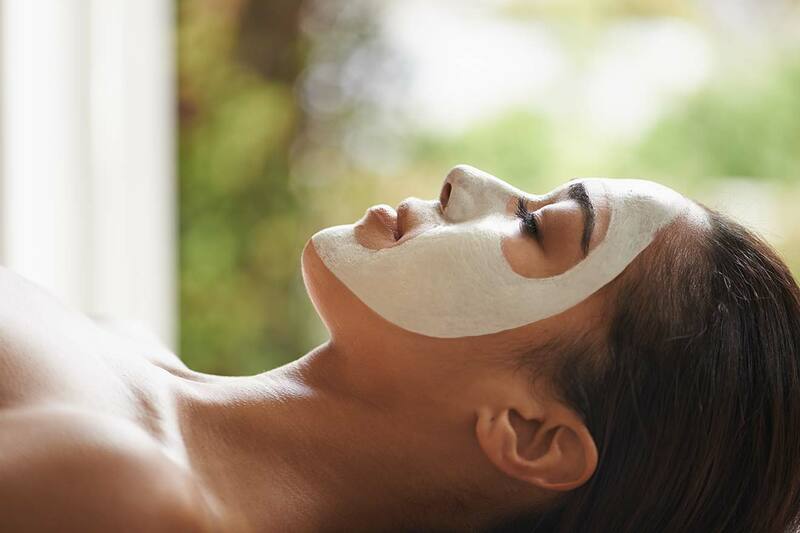 Aside from offering a serene spa experience, BEYOND offers consultations with Hackensack University Medical Center’s board certified dermatologists and cosmetic surgeons. Consultations must be scheduled in advance. BEYOND requires a 24 hour notice of cancellation. There is a 50 percent charge for cancellations made less than 24 hours in advance and 100 percent charge for no shows. Prices subject to change. BEYOND offers a variety of facials to complement and rejuvenate all skin types. B. Kamins, SkinCeuticals and Obagi products are used in our facials.